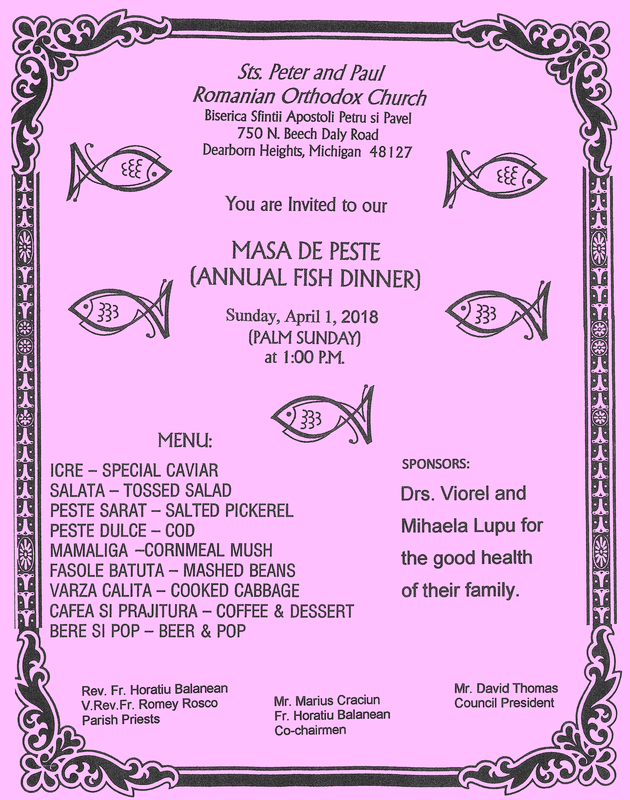 Everyone is invited to join us for our annual Palm Sunday Fish Dinner (Duminica Floriilor – Masă de Pește) on Sunday, April 1, following the Divine Liturgy. The delicious traditional menu will again be prepared by the men and women of our parish under the leadership of Mr. Marius Craciun & Fr. Horatiu Balanean. See flyer for details. We look forward to welcoming you! Va așteptăm cu drag!